Life Science Lab Suppliers are invited to participate as Exhibitors at our upcoming Pennsylvania Bio Research Product Faire Events. 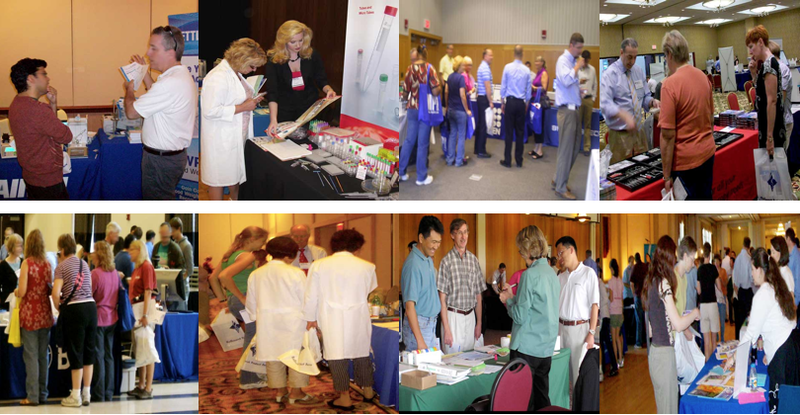 At the Philadelphia BioResearch Product Faire™, you can participate in a vibrant research and development marketplace. In FY 2011 University of Pennsylvania, Philadelphia received over $462 million in new NIH research grants. The University of Pennsylvania received a $25.5 million gift for the Abramson Cancer Center. This center is a “matrix cancer center” drawing members from the School of Veterinary Medicine, School of Dental Medicine, Wharton, Annenberg School for Communication, the School of Nursing and the School of Engineering and Applied Science. UPenn is the second highest in the country for NIH stem cell research funding at $26 million for FYs 2010-2011 (as of 4/15/2011). The University of Pennsylvania School of Medicine received almost $13 million to create additional research space at the Translational Research Center. First phase opened in 2011. The University of Pennsylvania received $12 million five year grant from the National Health Institutes to study the pharmacogenetics of nicotine addiction treatment. The University of Pennsylvania School of Medicine's Center of Excellence in Environmental Toxicology received a new grant of over $8.3 million, which extends the centers mandate through March 2015, to further study environmental agents and their impacts using genotyping and biomarkers. The University of Pennsylvania Muscular Dystrophy Research Center received additional funding of $8 million for the next five years to continue research. University of Pennsylvania's Perelman School of Medicine has been awarded a four-year, $2.5 million grant from the National Institutes of Health's National Cancer Institute to conduct breast cancer research. 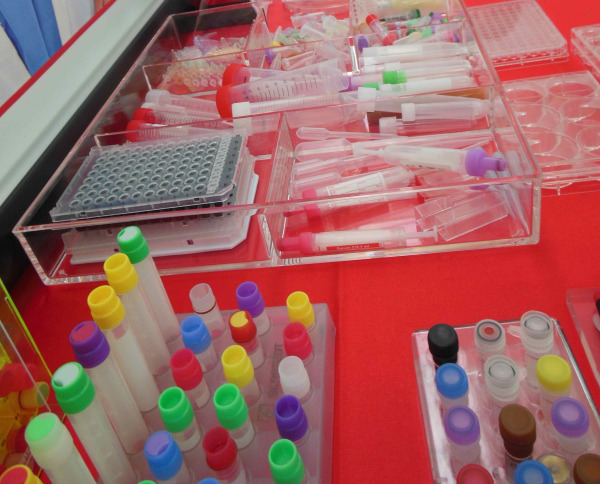 Last year, the Philadelphia BioResearch Product Faire™ attracted 465 attendees. Of these attendees 140 were purchasing agents, professors, and post docs, and 72 were lab managers. These attendees came from 56 different research buildings and 65 departments around campus. At the Thomas Jefferson BioResearch Product Faire™, you can participate in a vibrant research and development marketplace. In FY 2012, Thomas Jefferson University received nearly $53,000,000 in new NIH research grants. Last year, the Thomas Jefferson BioResearch Product Faire™ attracted 56 attendees.Of these attendees 21 were purchasing agents, professors, and post docs, and 10 were lab managers. These attendees came from 6 different research buildings and 23 departments around campus.If you are researcher interested in see in new tool for research or a lab supplier interested in exhibiting you can get more information by clicking the button below. Thomas Jefferson University was awarded 48 research, facility, and equipment and education grants with a value of over $34 million. The funding will encourage researchers in their efforts to innovate and speed translation of research into practical application. Thomas Jefferson University Department of Neurology has been awarded a multi million dollar grant from the National Institutes of Health to establish a center of excellence for research into autoimmune diseases from basic science research to its translation into clinical applications. The initial grant is for $4 million, but could be as much as $10 million by the end of award period. Thomas Jefferson University recently opened its $35.8 million new Jefferson Health Professions Academic Building, which houses its schools of Nursing, Pharmacy, Health Professions and Population Health; the departments of occupational and physical therapy and radiation sciences; and the Jefferson Clinical Neuroscience Center. Thomas Jefferson University received a $4.8 million grant from National Institutes of Health to test a new rabies vaccine with the potential to cure the virus infection after infecting a person’s central nervous system. Thomas Jefferson University Medical College received a four-year, $3 million National Institutes of Health grant to research genetics of platelet gene expression to better detect cardiovascular disease predictors. Thomas Jefferson University received a four-year, $2.5 million grant from the National Institutes of Health to study cancer gene activation in lung cancer. Thomas Jefferson University received a Scientists $1 million grant from the W.M. Keck Foundation to research the little explored 98 percent of the human genome and what role it may play in the onset and progression of diseases. Join us at these 2 events and exhibitors receive early pricing this week.